Suite Solutions is always at your service! Our 24 hour assistance number will connect you to a local Manager on Duty who is prepared and empowered to assist with any situation or request. We are confident our accommodations and service are the finest in the industry. If for any reason you are not 100% satisfied with your stay, we encourage you to contact our owners directly. They may be contacted at sharon@mysuitesolutions.com, jj@mysuitesolutions.com or by calling 703-448-0505 ext. 255. 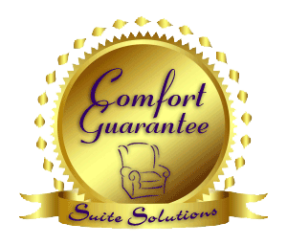 When you stay with Suite Solutions, your comfort IS our business! Suite Solutions takes pride in offering the highest level of personal service to our guests. Our employees are dedicated to your comfort and will do everything possible to exceed your service expectations. We understand how stressful relocating to a new and unfamiliar area can be. We are prepared to tailor our accommodations and services to meet your unique needs.